Why posting on 1389 Blog has been light — 1389 Blog - Counterjihad! No, 1389 Blog is not shutting down. Admins 1389AD and CzechRebel are very busy with activities in the real world and have had little time to post anything to the blog. We apologize to our many correspondents and team members who have sent worthwhile material to the blog mailbox that we have been unable to upload. It takes time, skill, and, of course, reliable Internet connectivity to format and upload each blog post, along with any media that accompanies it. We would appreciate assistance in posting from team members or correspondents who are familiar with WordPress, or are willing to learn to use the WordPress blog post editor. 1389 Blog is a hard news blog about the counterjihad. Because our time is limited, we have tightened our focus on the counterjihad. As time permits, we may post occasional news and commentary on other topics, including science and Caturday, but most of our blog posts will pertain to the counterjihad. For news on other topics, you are invited to click on the headline feeds in our sidebar, or visit our blogroll. In addition, Drudge Report offers links to breaking news stories. We offer our condolences to the families and friends of the deceased. The facts are not in; thus 1389 Blog will refrain from speculating as to who was responsible. A false-flag attack cannot yet be ruled out. Airline Reporter has some information about the crash. Captain Chesley Sullenberger, the pilot who safely accomplished the Miracle on the Hudson landing in 2009, points out that the big question is why was the plane flying over a war zone. The New York Times raises that question also. The Mad Jewess is following this story. Her Twitter feed is @MadJewessWoman. Peter Ingemi points out that nobody in the media or the political sphere is outraged about the recent Hamas attacks on civilian aviation at Ben Gurion Airport. As long as Jews are the targets, the mainstream media, the chattering classes, and western governments are entirely unconcerned. 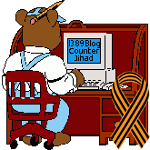 Technical issues: No comments are visible on 1389 Blog at this time — 1389 Blog - Counterjihad! Next post: Muslim headscarf, headwear, hijab. What is the woman announcing to the world?